Uber has transformed the world. Indeed, its inconceivable to think of a world without the convenience of the innovative ride share service. Born in part from a job market which constantly deregulating, Uber has emerged triumphant, operating in over 58 countries and its valued at roughly $66 billion. They’ve established branches in over 581 cities in over 82 countries with the United States, Brazil, China, Mexico, India are Uber’s as they active countries. If that wasn’t impressive enough, in 2016 the company completed a total of  2 billion rides  in one week. When you consider the fact that the first billion rides took Uber 6 years, but the second billion was garnered in a mere 6 months, it’s not surprising to see Uber emerge as a global business leader. This worldwide phenomenon is built on a simple idea, seductive it its premise: the ability to hail a car with nothing but your smartphone. It took the problem of hailing at taxi and gave it a equitable solution for all, solving the eternal chicken-or-egg problem, further capitalizing on the emerging market. And smart people are asking the right question: how do I build an app like Uber for my business needs? It all started in 2008, with the founders of Uber discussing the future of tech at a conference. By 2010, Uber officially launched in San Francisco. In 6 months, they had 6,000 users and provided roughly 20,000 rides. What was the key to their success? For one, Uber’s founders focused on attracting both drivers and riders simultaneously. San Francisco was, acting as the heart of the tech community in the US, was thus the perfect sounding board for this form of technological innovation to thrive. In the beginning, Uber spread their app through word of mouth, hosting and sponsoring tech events, and giving participants of their events free rides with their app. This form of go to marketing persists today; giving 50% discounts to new riders for the first Uber ride. This initial discount incentives users to become long term riders, and the rest was history, as more and more people took to social media to tell the world about this innovative new app—and the sheer brilliance of their marketing strategy paid off. What makes Uber, Uber? 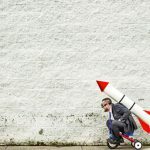 For one, it’s the ubiquitous appeal, or the way in which they is how they’ve streamlined their product software and technology. It was, at the start, fresh, innovative, and had never been seen before. So if you’re to replicate the model, look to Uber’s branding strategy. 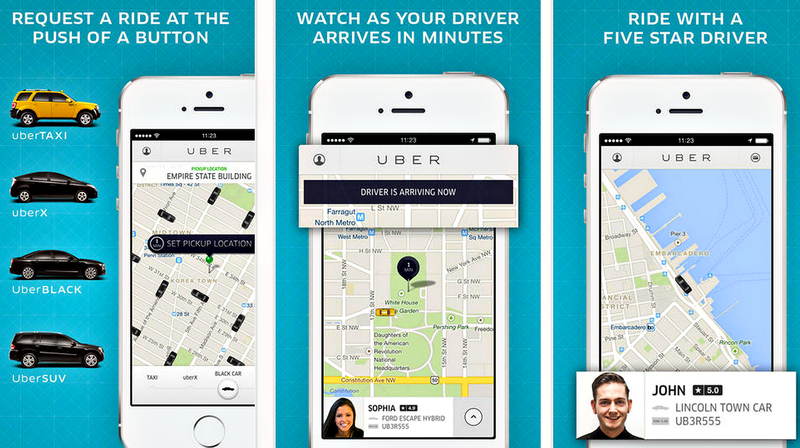 To use Uber, you have to download the app, which launched first on iPhone, then extended to Android and Blackberry. 1. Registering/Log-in features: Uber allows you to register through your first name, last name, phone number and preferred language. Once you’ve signed up, they’ll send you an SMS to verify your number, which will then allow you to set your payment preferences. Trip fares are charged after every ride through this cashless system. 2. Booking features: This allows drivers the option to accept or deny incoming ride requests, get the information on the customer’s location and destination. 3. The ability to Identify a Device’s location: Uber, via CoreLocation framework (for iOS platforms) obtains the geographic location and orientation of a device to schedule location and delivery. Understanding iOS and Android geolocation features is crucial for this step, because that’s what you app is running on. 4. Point to Point Directions: The Uber app provides directions to both the driver and the user. Develops of the Uber app use MapKit for iOS (and Google Maps Android API for Android) to route the route and making directions available. They further implemented Google Maps for iPhone and Android, but cleverly outsources other mapping tech companies to solve any logistical issues that might come up. 5. Push Notifications and SMS: You get up to 3 notifications instantly from Uber when you book a ride, one notifying you when the driver accepts your request, one when the driver is close to your location, and one in the off chance your ride has been cancelled. You further get the full update on your driver’s status, down to the vehicle make and license number, and an ETA on the taxi’s time of arrival. 6. Price Calculator: Uber offers cashless system, paying drivers automatically after every ride, processed through user’s credit card. Uber takes 25% of the driver’s fare, making for easy profit. They paired with Braintree, a world leader in the mobile payment industry, but another good option is Stripe, or Paypal, via Card.io. The ability to see the driver’s profile and status: Your customers will feel safer being able to see your driver’s verification, and it’s makes good security sense to ensure you know who’s using your app for profit. The ability to Order alerts: see the Push notification system bullet point above (number 6), and receive immediate notification of any cancellations. The ability to see the route from Their Phones (An In built Navigation system): This is intrinsically linked to your geolocation features, you want to be able to direct your taxis to the quickest, most available routes. Price calculation: see bullet point number 4 above. Requesting previous drivers: It’s a little like having your favourite taxi man on speed dial, and is a good way of ensuring repeat customers. Waitlist instead of surge pricing: Avoid the media hassle of employing of surge pricing by employing a wait list feature, so your users can be added to a waiting list rather than be charged more than they should, and to keep them from refreshing the app during peak hours, saving your server the hassle. Further key to Uber’s success, and a fact that should be noted by potential developers of similar apps, is the way in which Uber operates: they tap into more than one market which equates to more riders, more drivers, and more business for the company. Uber has mastered the art of localization—the ability to beat out pre-existing markets and competitors, and further retains their customer base by improving their own business strategy. By taking local contexts in hand, for example, by partnering with Paypal in November of 2013 in light of the fact that many people in Germany don’t use credit cards, and switching to serviced based SMS’s in Asia as there are more people but fewer smart phones per capita, they can saturate the market and optimize profits. 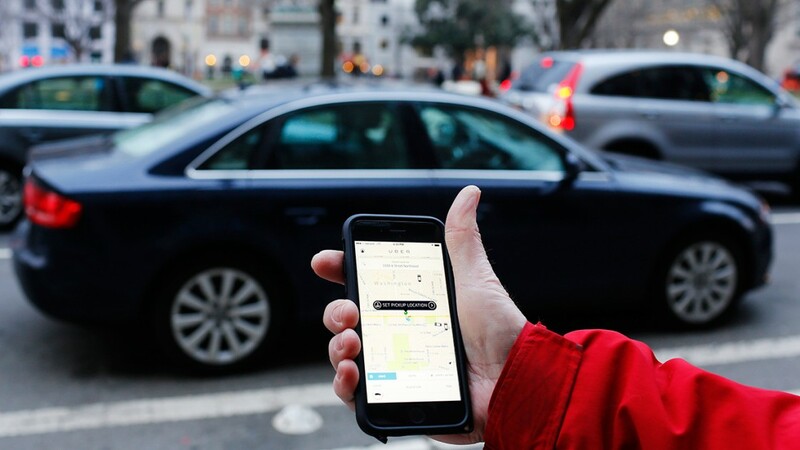 The Uber marketing strategy isn’t static—it’s dynamic. Expansion was necessity, and the business model reaps profits from saturating the taxi market with their customers and drivers, driving their exponential growth. What aspiring app developers can take from this is that you need to design your app for flexibility. Design your app in a way that’s going to let it take a hit and roll with a punches, so that the building systems allow you to integrate changes effectively and allow the members of your team to communicate. What made Uber so successful was its ability to reshape how with think about technology and operation. Indeed it made the market a better, more efficient place through the innovative on-demand service. What Technology is Uber Built on? How much does Uber make? Actually, it’s a lot less than you think. 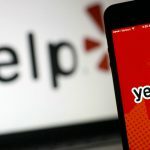 The $66 billion valuation, after the 25% commission (which rounds out to about $0.19 per ride) mostly goes towards credit card processing, interest, tax, compensation for employees, customer support, marketing, and various anti-fraud efforts. How much does it take to build Uber? 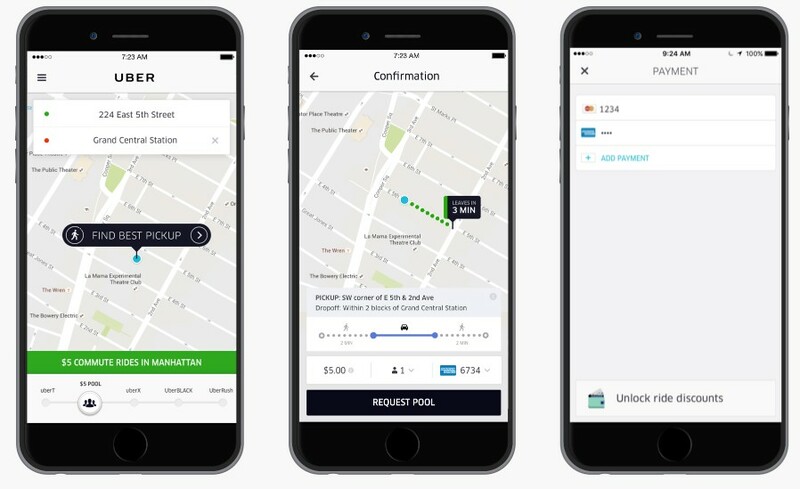 Uber’s not just one app, it’s two: one for the rider and one for the driver. The cost of developing an app like Uber is dependent on a number of factors: the cost of building an MVP, product development and acquisition, getting the economics of marketing sorted, and the constant cost of building on and improving your app’s analytic capabilities, for example. When you make an app like Uber, you’ll invest a fair bit into design services, backend and web development, project management, not to mention Android and iOS native app development. The total man hours round out to around 5000 hours for similar on demand taxi apps, at a $50,000 (give that your team works for $50 dollars an hour). However, since roughly rates range from $20 to up to $150, median costs could be higher or lower. So, to wrap up, Uber was made by several factors, including a clear business model, interaction based features, and not the other way around, with a marketing strategy focusing on attracting users. The question on everyone’s mind of course, is how, when you’re developing an app, do you make sure that your idea and product are viable, reducing the overall risk of failure. If you’re in need of a consultant, feel free to contact us; our processes have evolved with our practice experience in product development to make the most out of your creative vision. 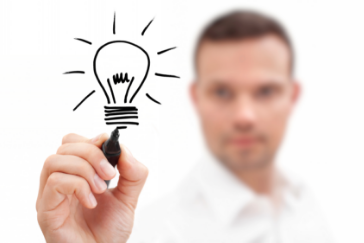 We can further promise you smooth communication all along the line of your project development. 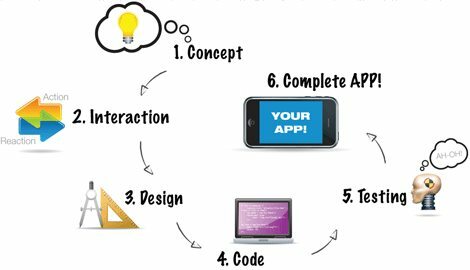 Our team has a consultative approach to app development, were we draw from our successful app implementations. Get in touch with us now if you want an accurate cost for your own Uber like app idea! Great article! Here https://vironit.com/build-app-like-ola-tips-taxi-app-developers/ I found more additional info of developing app similar to Ola, Uber’s biggest competitor in India. Its a really good app and user-friendly too. Thank you!